Inside: It’s your special day, mama. How will you spend it? 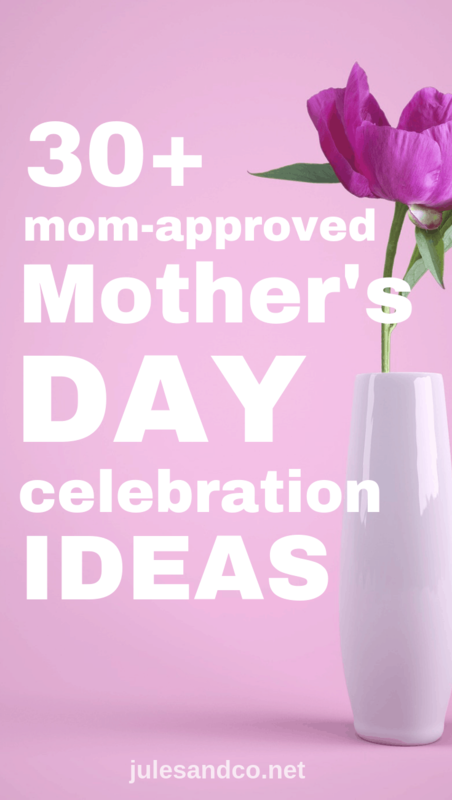 If you need some inspiration when it comes to Mother’s Day celebration ideas, we can help! This ultimate list of Mother’s Day traditions will have you on the edge of your seat this Mother’s Day. 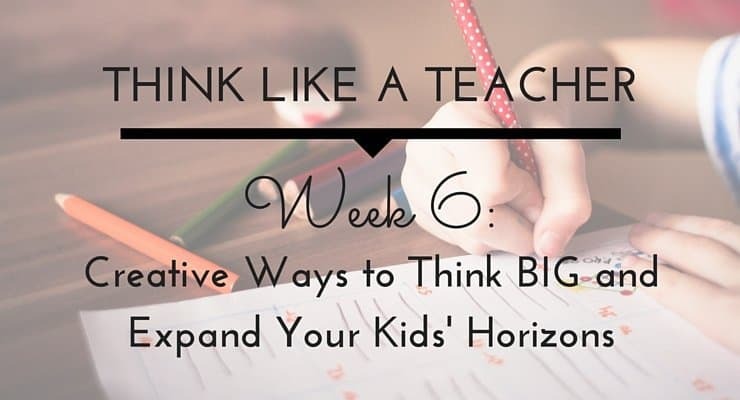 Whether you want to spend time with your family or escape for a little rest and relaxation, you’ll love these mom-approved ideas! Which one will you choose? One of the things I’ve been working on recently is realizing that my husband is not a mind reader! Is he thoughtful, caring, and supportive? Yes! But he just can’t tell what I’m thinking. I’m realizing that if I need something… I’ve got to ask! But hold up, what do I want? What would fill my bucket and give me a memory I won’t forget? But that’s the tricky part right? I don’t know about you, but whenever I actually get some time to do what I want I suddenly run into this brick wall… What do I actually want to do? 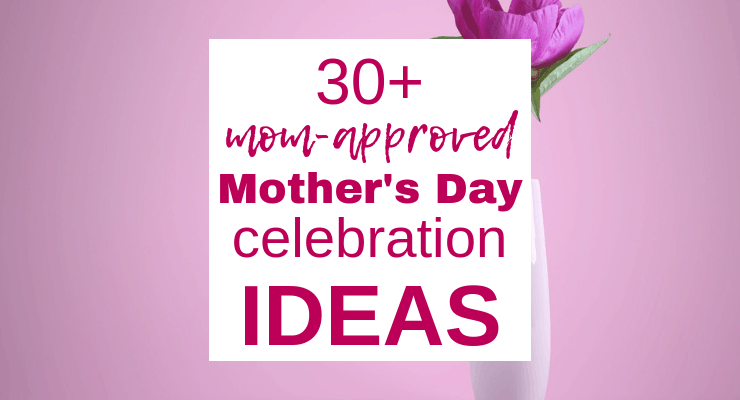 So to tackle that question and help you get inspired for a Mother’s Day you won’t forget, here is the ultimate list of beautiful Mother’s Day celebration ideas. Some will allow you a few hours of blissful alone time, and some will get you out for some family fun! Whichever you choose, remember… your family can’t read your mind! 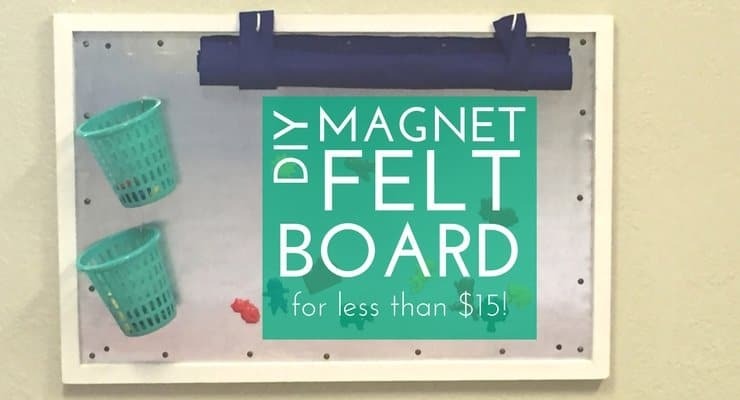 These Mother’s Day ideas would be perfect for your own mom, too! Invite her along, or gift her with one of these experiences. Want to spend the day with your favorite people? These Mother’s Day ideas will help you celebrate with your family. From fun outdoor adventures, to cozy movie nights, there’s something both you and your family will love! Sunflower Maze: Find a beautiful maze to explore near you! Spring Picnic: Try a new recipe with these perfect picnic food ideas. Horseback Riding: Search Groupon for a deal on riding lessons for the family. Weekend Road Trip: Discover uncharted territory with my favorite road trip planner! Plant a Tree: Get muddy together and plant a memory that will last. Book a Family Photoshoot: Capture every smile with a professional photoshoot, or try it DIY. Attend a Local Festival: Splurge on delicious food and take in the festival sights with your crew. U-Pick Orchard: Spend the day feasting on fresh produce at a local orchard. Find one here! Bowling: Amp up some good ol’ competition with a family bowling challenge. Roller Skating: Bring it back with old school roller skates and show your kids how it’s done! Family Game Night: Grab a game from this ultimate list of game night ideas. Visit a Museum: Discover culture and history in your neighborhood, and get a little fancy with the fam. Farmer’s Market: We love our local farmer’s market! Find one near you. Baseball Game: Relax with your home team and enjoy some ballpark food! Get tickets here. Ziplining: Get adventurous and explore the treetops! Mom’s Choice Movie Night: Search Netflix for your family favorites, and let your kids cozy up with you on the couch. Want to relax and unwind for your special day? 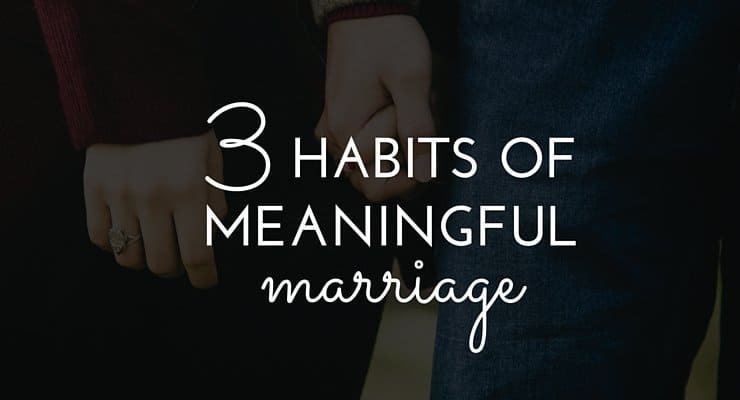 Try one of these ideas with your husband, your besties, or just you! Pottery Workshop: Get messy and make a piece of pottery to keep! Check out local pottery classes here. Painting Workshop: Love getting creative? Try a painting class or spend the afternoon working with watercolors at your favorite park. Breakfast in Bed: This one’s a classic! Request your favorite breakfast in bed, cooked with love by your favorite little helpers. Housecleaning Service: Hire someone to deep clean your house while you and the family go out for a treat. Mom-Only Dinner Out: Get your besties together and head out to your favorite restaurant for a stress-free evening. Boating Tour: Get out on the open water with your husband or a group of friends. Spa Day/ Manicure: Nails need a little…help? Take care of yourself with a relaxing spa or manicure day. Photography Class: Always wanted to improve your photography? Sign up for a local photography class. Helicopter Tour: Get a babysitter and spend the evening with your honey on a romantic flight. Salon Appointment: Nothing says happy Mother’s Day like a fresh cut, color, and blowout! Pamper yourself! Concert or Theater Show: Find tickets to your favorite concert or show, and enjoy a night out! Cake Decorating Class: Fuel your creativity with a cake decorating or baking class. Scuba Diving: Discover a whole new world and get scuba certified. Hot Air Balloon Ride: Schedule a babysitter and enjoy a romantic ride with your honey. Kayaking for Two: Get some fresh air, exercise, and relaxation with this adventurous idea! Vintage Thrift Store Shopping Spree: Love a good find? Spend the day antiquing with a friend! Kid-Free House for the Day: Let dad take the kids on an adventure and spend the day cozied up in your own house. No housecleaning or chores allowed! Craft, read, or just relax with some Netflix. Doesn’t that sound glorious? Don’t Forget the Little Traditions! Whatever you do, whether it’s explore with your family or relax with a night out, don’t neglect the little things. Your favorite Mother’s Day celebration idea might be as simple as taking a walk with your little ones, climbing in the hammock swing together, or staging an epic tickle fight. Remember how we sad your family can’t read your mind? The same holds true with these little moments. So if you just need a good snuggle or hug… let them know! Take some time to connect with the little ones who made you “mom” to begin with! Small moments matter, too! Share with us below, what are your favorite Mother’s Day celebrations or traditions? How will you celebrate your day this year? 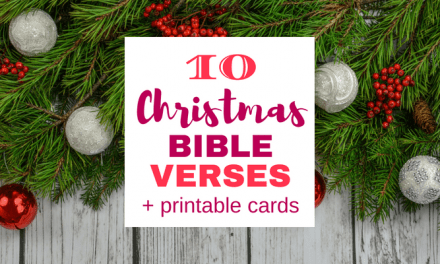 10 Christmas Bible Verses (Printable Cards) with Conversation Starters for Kids!